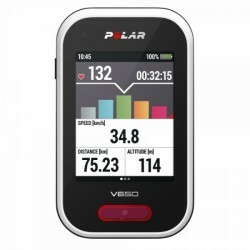 The V650 of Polar is an innovative and very advanced bike computer. It is ideal for cyclists, who want to analyse every detail of their tour and to increase their performance while cycling in the future. 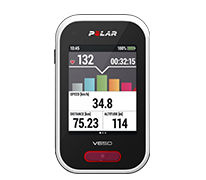 The V650 of Polar is an innovative and very advanced bike computer. It is ideal for cyclists, who want to analyse every detail of their tour and increase their performance in cycling in the future. 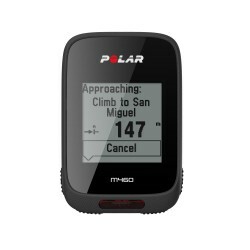 The Polar M460 is a GPS bike computer with an advanced capacity for performance measuring, Polar Smart Coaching, and support of the Strava Live segments. The Polar bike computer M460 (HR) is equipped with many important cycling functions for training control, which make it the perfect companion for cycling and mountain biking. 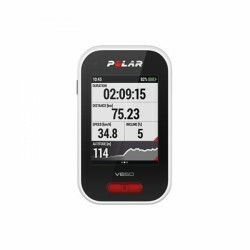 We offer a multitude of high-quality and functional pulse monitors for cycling. Especially corresponding to the needs of cyclists, those are equiped with a precise heart rate measuring. Pulse monitors/sport watches with heart rate measuring are part of the equipment of each cyclist, because the heart rate control guarantees an efficient workout. Furthermore, we offer a wide range of products of accessories for pulse measuring , i.e. cadence, speed and GPS sensors.